Telemedicine is beneficial to patients in isolated communities and remote regions, who can receive care from doctors or specialists far away without the patient having to travel to visit them. Telemedicine is health care without walls. It connects patients and medical providers through live, web-based video visits. By eliminating the barrier of distance, telemedicine improves access to care. It saves time and reduces travel expenses, making health care more efficient. While it used to represent the future of medicine, telemedicine is here now – and it is available to you at Alaska Sleep Clinic through AASM SleepTM. At Alaska Sleep Clinic, our philosophy centers on treating every patient with compassion, understanding and personal attention. We know how important a good night’s sleep is to a person’s health and quality of life, that’s why diagnosing and treating sleep disorders is our primary focus. Alaska Sleep Clinic is a group of four American Academy of Sleep Medicine accredited sleep clinics and now, Alaska Sleep Clinic is the ONLY sleep clinic in Alaska using SleepTM, the latest in sleep telemedicine technology. AASM SleepTM is a sleek new telemedicine system from the American Academy of Sleep Medicine. HIPAA-compliant and secure, SleepTM is a state-of-the-art telemedicine system for sleep medicine professionals and accredited sleep centers like Alaska Sleep Clinic. 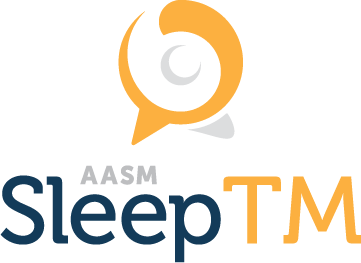 AASM SleepTM is a secure, easy-to-use telemedicine platform that allows our patients to receive specialized medicine from a distance, saving time and travel costs without sacrificing quality. AASM SleepTM is now available for your patients to download on both the iPhone and the Android. We mean it when we say that connecting with your patients has never been easier. Sign up for a free, one-on-one demo with an AASM SleepTM expert and embrace the future of healthcare. Alaska Sleep Clinic is the most comprehensive multisite sleep lab in Alaska with clinics in Anchorage, Wasilla, Fairbanks, and Soldotna and we continue to expand our services to those with sleep disorders. Angela Randazzo, PhD is a specialist in cognitive behavioral therapy (CBT) with expertise in sleep disorders. No other CBT sleep specialist provides care in the state of Alaska. She is available to Alaska Sleep Clinic’s patients via telemedicine, through SleepTM.